The loss of a loved one is never easy. In many cases, attending a funeral can make the experience that much more difficult. A funeral is often somber with many guests being overcome with sadness and grief. The alternative option is to have a celebration of life. An event focused around celebrating the achievements of the deceased, what they valued, and sharing good memories of your loved one. Click here for a deeper explanation of a celebration of life, and click here to understand the differences between a celebration of life and a funeral. The first thing you need to think about is who the event is for. While the purpose is to honor the life of the deceased and reflect his/her individuality; you should also understand that this event is for family and friends as well. It is about more than just saying goodbye, it’s about helping family members and friends cope with the loss and begin the healing process. Where will this event take place? The great thing about a celebration of life is that it can take place anywhere. The deceased’s home, a local park, even at a funeral home. The first thing you need to do when choosing the location is to determine how many guests will likely attend. From there you can begin looking for venues that will meet the space requirements. You should also consider holding the celebration of life at a location that was important to your loved one. How will you honor and celebrate the life of your loved one? Some celebrations include an officiant and others do not; the choice is totally up to you. Some families choose to have someone move the ceremony along and others hold a more informal party where guests just casually interact and share stories. This is also when you can begin to think about things like pictures, decorations, music, and food. Again the choice is yours, but we recommend selecting things that your loved one enjoyed, were passionate about, or reflects their personality. 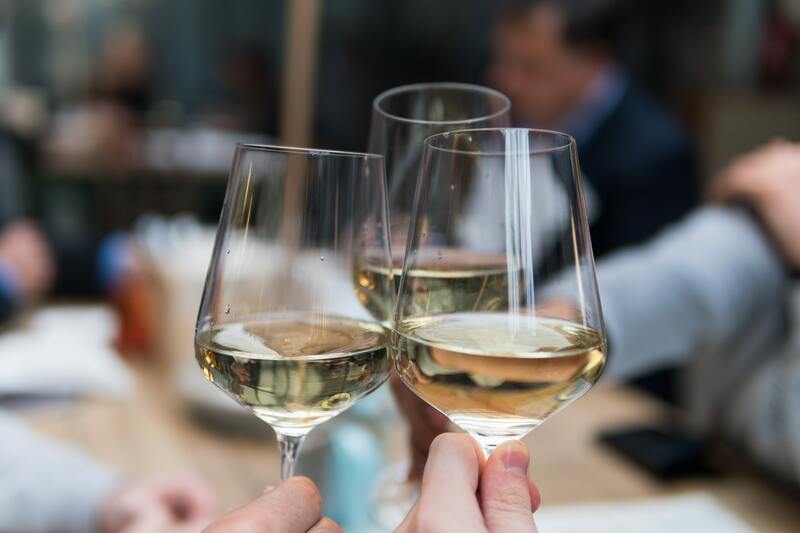 When you start to plan a celebration of life, you’ll realize that nothing is really off limits when it comes to personalizing it and making the event special. If you would like some inspiration for possible celebration of life ideas, we’ve compiled some interesting and unique ideas to help get the creative process going. If your loved one was a dedicated sports fan or enjoyed playing a certain sport, consider focusing the event around that love. A great idea for this could be organizing a golf tournament or exhibition softball or basketball game. Was your loved one a caring and charitable person? If so, you could organize an event around celebrating the life of the deceased while raising money for a cause they were passionate about. The fundraiser could be an elaborate event or a casual party where people leave a donation to be pooled together and donated in the deceased’s name. If your loved one was the type of person who loved to make or eat delicious food and appreciated trying new things, organize a dinner party that serves their favorite foods. Family and friends should feel a close connection when they dine on the food that your loved one enjoyed. Meet Malcolm Brocklehurst – an 81-year-old retired aircraft engineer from Cleveleys, England. He planned out an elaborate celebration of life that incorporated the deceased’s love of flying and professional soccer team – Blackpool FC. There’s just one thing though, the event was planned for Malcom. And he isn’t dead yet. That’s right, you don’t just have to plan a celebration of life for a loved one when they pass away, you can prearrange your own, just like you can preplan your funeral or cremation service. Malcolm took the initiative to make sure that when he dies his family doesn’t have to worry about planning a service. He’s already done that for them, and even held a dress rehearsal. When his time finally does come, his family will be prepared to say goodbye. 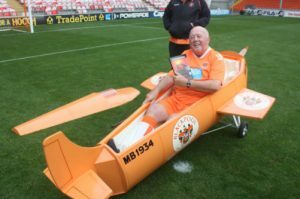 Mr. Brocklehurst has been a long time supporter of Blackpool FC and a flying enthusiast. To reflect these passions he will be dressed in his favorite soccer team’s orange uniform and placed in an airplane shaped casket during his celebration of life. His casket will also be taken to Bloomfield Park which is the home stadium of Blackpool FC. Afterwards, the plane casket will be loaded onto a truck to be taken to the crematorium. Before the truck leaves though, friends and family will be invited to share memories of Malcolm and spin his casket’s propeller to “fly him to the moon”. Malcolm has also instructed that there should be no tears during the celebration of life. He does not want others to dwell on his death but rather rejoice in what happened during his life. The plans Mr. Brocklehurst has made for his celebration of life should serve as the standard families hold themselves to when planning a celebration of life. The entire service is arranged around celebrating what he loved most and what made him unique. It celebrates what he loved in life; it does not involve mourning the fact that he is gone. This entry was posted in Funeral Planning Resources on October 12th, 2017 by ObitTree .